Booktype's a great tool for using on your own, but it really shines when you use it for working together with other people. 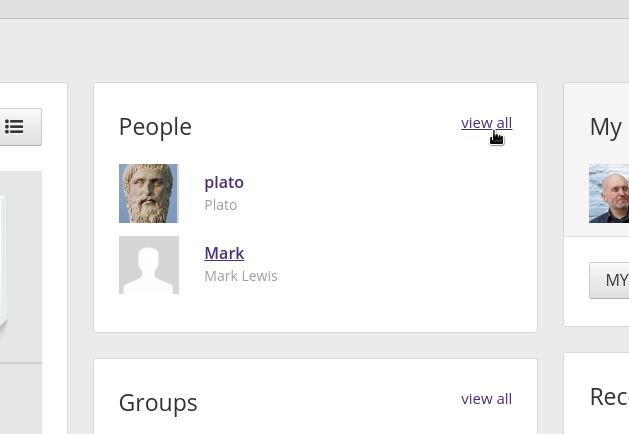 The Home view of Booktype includes a People box, listing those who have most recently joined. Click the view all link to get to the full People section. (You can also reach the People section from anywhere in Booktype by clicking on the three-line menu icon in the top-left corner and selecting People). 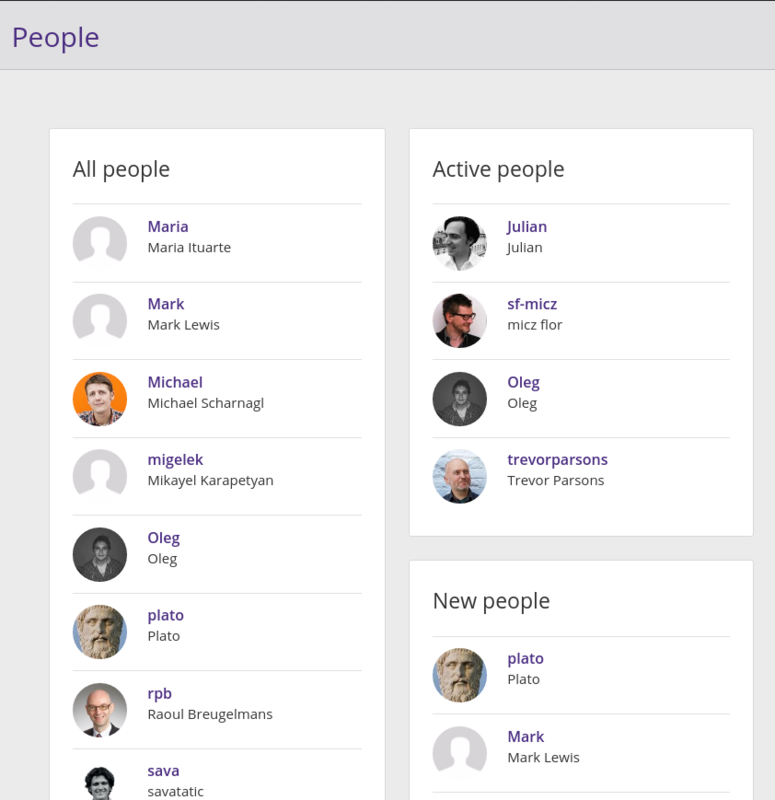 Booktype shows you a full list of users under All people, as well as the most Active people and New people. Click any user to see their User profile.